The conditional veto issued by New Jersey Gov. Chris Christie last week has spurred Nevada lawmakers into swiftly passing legislation of their own. Christie is prepared to sign online gambling legislation provided that lawmakers approve his conditions that gaming operators pay a 15% tax instead of the originally proposed 10% in order to fund programs to benefit compulsive gamblers. Christie also would like a 10-year limit on the statute in order to analyze its viability. 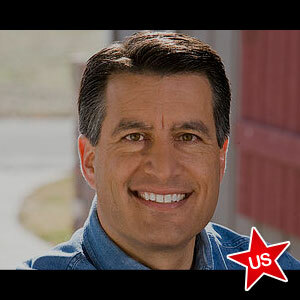 In light of the developments in New Jersey [Feb. 7], the need to act quickly has become even more important, Nevada Gov. Brian Sandoval said in a statement. Nevada already enacted intrastate online poker legislation in Dec. 2011, becoming the first state in the country to do so. Assembly Majority Leader William Horne is now working on a bill that would allow the Silver State to enter into agreements with other states to increase player liquidity. The bill would also remove statutes that require Nevada to wait upon Congress to approve interstate online gambling legislation, the Las Vegas Sun reported. After the failure of the federal Reid-Kyl online poker bill to gain support last year, it is wise for Nevada to rid themselves of a law that depends upon notoriously slow federal lawmakers. The chairman of the Nevada Gaming Control Board, A.G. Burnett, said that he expects a lack of guidance for many years from the federal government with regards to online gambling legislation. As the sponsor of Nevada’s bill and with Sandoval’s backing, Horne hopes to have crossed the t’s and dotted the i’s on the proposal and have it ready for the governor’s signature before New Jersey lawmakers can vote on Christie’s conditional veto. Nevada’s population is believed to be too small to carry an intrastate online poker scheme alone. Teaming up with other states would solve that problem. However, Nevada still hopes to be the first state to have online sites up and running on an intrastate format and sees a distinct advantage in assisting other states that don’t have the gaming expertise, particularly in regulations, that Nevada has, Horne said. With Sandoval supporting the bill, it is fully anticipated that it will not become stalled in either the Assembly or Senate. The same holds true for New Jersey, where the online gambling bill is likely to be approved by legislators and back on Christie’s desk sometime in March. Though Sandoval may believe a race is on, Nevada is much further ahead in its desire to be the hub of online poker. The Silver State has already awarded almost 20 interactive gaming licenses and is now awaiting only the conclusion of testing on the technology and software.